The Fairfield by Marriott brand is designed for the global traveller who is looking to be productive on the road, whether travelling for business, leisure or a combination of both. 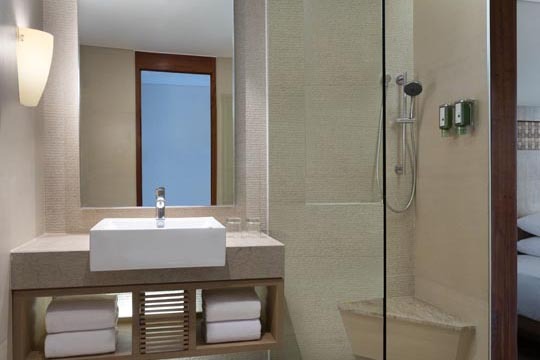 With complimentary Wi-Fi and breakfast, Fairfield offers travellers thoughtfully designed rooms and suites that provide separate living, working and sleeping areas. 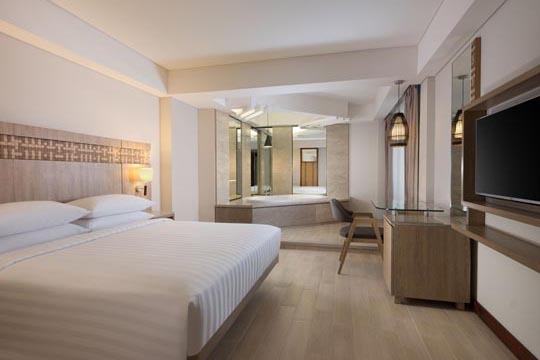 The newly opened Fairfield by Marriott Bali Legian features just 162 guestrooms, which includes nine spacious suites. 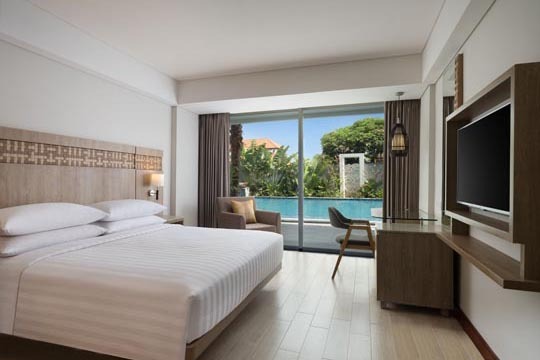 The room categories with twin or king beds include the Deluxe Pool View and Deluxe Pool Terrace rooms, both offering relaxing views over the pool and an al fresco area, while the Junior and Grand Suites provide space to unwind as well as a whirlpool bathtub. 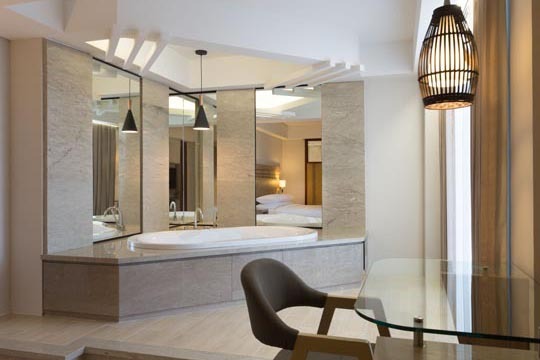 The design throughout is simple and intuitive, light and airy with natural wooden furnishings and local Balinese accents. 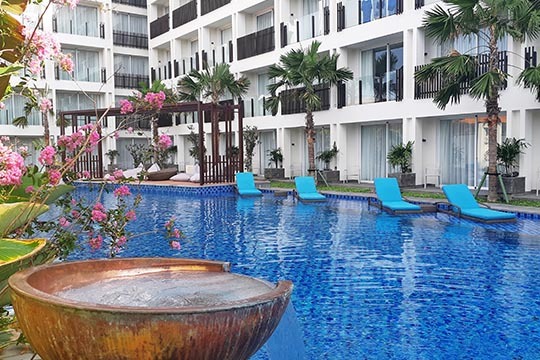 The Fairfield’s facilities are excellent and include a modern 24-hour gym and a pool surrounded by lounge chairs and outdoor seating, the perfect place to soak in the tropical sun and relax with a cool drink and tapas-style food from the adjoining Pool Bar. Tebu Merah, the all-day dining venue, is casual and relaxed, where guests can both kickstart their mornings with a healthy breakfast and savour a range of Balinese dishes and international favourites throughout the day. For business meetings and events, the hotel also boasts a range of flexible venues supported by a professional team who can help design and execute any event to meet specific requests and needs.